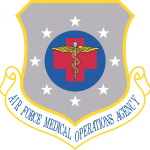 Air Force Medical Support Agency (AFMOA) Services Help Desk: TeAM supports the Air Force Surgeon General South and multiple senior staff, Air Force Drug Testing Lab and the Standard Treatment Record Cell – 900 users and 9000 end-user devices. 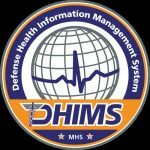 Wilford Hall Ambulatory Surgical Center (WHASC) Service Desk: TeAM supports Flag Officer, multiple Executive staff, and Technicians and Clinicians – 800 users and 7000 end-user devices. On both contracts TeAM staff isolate and resolve incidents at lowest level using multiple tools including the Remedy 7.1 ITSM solution. TeAM’s support staff at the AFMOA Service Desk employ the Microsoft Remote Desktop Support Tool to virtually tap into multiple sites; 1,200 incidents reported monthly – 99% (1,185) resolution rate achieved; Nine Help Desk Technicians each handle an average of 133 incidents per month. TeAM Help Desk support staff at WHASC use the DameWare Remote Support tool; Eight Help Desk Technicians support users in 18 facilities on Lackland Air Force Base; 750 incidents reported monthly – 82% (613) resolution rate achieved; average incidents handled per technician is 94. TeAM’s AFMOA Help Desk technicians routinely provide users with “How To” training; For example, our staff assist users with over the phone instruction on setting folder permissions and using printer functions. 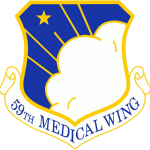 TeAM created a Transition Program Office and Master Training Plan to assist the Air Force in implementing a new medical coding standard that impacted 40,000 users; TeAM developed and delivered training courses as well as created “how-to” User Handbooks covering 20 specialty areas. TeAM provides 33 training professional integrated with the staff and faculty at the Medical Education and Training Campus (METC) in San Antonio, Texas; Single source of all training for the enlisted military medical workforce providing 50 courses to 20,000+ students annually – heavy emphasis on practical “how to do your job” training. TeAM staff support METC’s mission performance by establishing Training Requirements, conducting Instructional Systems Design, and providing Audio Visual Production and Graphics Support.